Our team of Realtors is one of the highest ranked in Carolina One Real Estate, and in 2016 The Keadle Group closed over $32 million in sales. 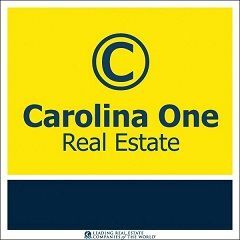 Carolina One is the top selling Charleston real estate company. It sells 1 out of every 3 homes in the Charleston area and has been #1 in MLS sales for the past 15 years. The company has over 750 agents with offices conveniently located throughout the tri-county area. Why does The Keadle Group stand out among the best of the best in Charleston’s real estate market? We look at every transaction from an investor’s standpoint. We are 100% dedicated to the market that we know and love. We keep up to date on Charleston real estate trends and statistics. We strive every day to give the best service possible. And we are committed to our clients, which has resulted in an exceedingly high referral business. Simply put, almost half of our business comes from clients we’ve worked with in the past or their family and friends. What Have Past Sellers Said About Our Work? My family used Gray Bailey’s services to sell our house this past spring/summer. We interviewed multiple Realtors and Gray went above and beyond to earn our business. He had a day filled with showings set up within the week (before we even committed to working with him) and full price offers. Needless to say, we were impressed! Gray became more than a Realtor during our relationship. He became a friend. Gray always showed that he had our best interest in mind, was respectful, and always positive. We recommend Gray highly as a top Charleston Realtor, and you will be glad to have him on your side. The Keadle Group is a top notch real estate team. I've worked with Lee & Katherine and their team for almost 10 years now. They've consistently provided effective representation for dozens of real estate transactions. They have represented our firm in the sale of communities and assisted me personally in both the purchase and sale of my primary residences. They have a knowledge of the tri-county market that is unmatched, as well as a detailed eye for quality construction. I would highly recommend the Keadle Group for all of your real estate needs. It is with gratitude that we pass on our complete satisfaction with Gray Bailey as our Realtor. Gray’s efforts exceeded our expectations since our home never even made it to the MLS (it was under contract within 2 weeks thanks to his commitment to us and the tenacity to make it happen). His incredible attention to detail resulted in a real pleasure for us to work with him. He remained level-headed and his attitude remained positive even in some of our most stressful times. He was always, always kind and personable and very respectful to both sides at all times. Through our entire process, Gray was professional and conscientious and made us feel as though we were his only client with his sincere motivation. Read more reviews of The Keadle Group!